In the last part of this article, I have covered on how Nestorian Christianity, after suffering near elimination from China during the final stages and the fall of the Tang Dynasty, reemerged and flourished tremendously in various Chinese cities under the Yuan Dynasty, especially under the rule of Kublai Khan. In this part of the article, I will thus attempt to cover further on Kublai Khan’s affinity towards Christianity and his interest in expanding it in Yuan China, as well as Marco Polo’s role in the matter. Have all of you heard of the Silk Road before? 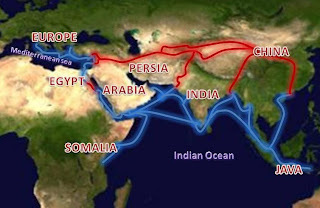 Well, for the benefit of those who don’t know what it is, the Silk Road is a large network of trade routes used mainly in medieval times to connect areas in Europe, North Africa, the Middle East, Persia, India, Central Asia and China with each other. It enabled merchants to travel from one region to another across Europe, North Africa and Asia for trading purposes. 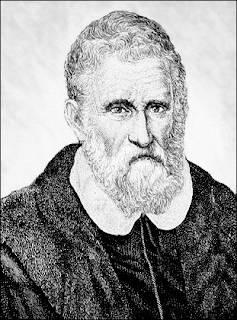 Marco Polo (1254 – 1324), as some of you may have heard of before, is a renowned merchant and traveler from Venice, Italy. He was one of the first Westerners from Europe to travel along the Silk Road to China. 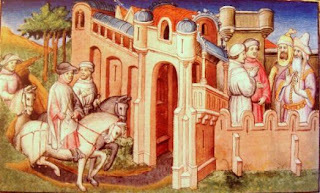 While he was still very young, he left his hometown of Venice with his father, Niccolò and his uncle, Maffeo on a journey to the East for trading purposes. The Polos traded in a few cities within the domain of the Mongol Empire before arriving and being stranded in Bukhara (present day Uzbekistan). Whilst in Bukhara, the Polos came across an emissary sent by Hulagu Khan from the Ilkhanate in Persia to his brother Kublai Khan in China. After being persuaded by the emissary that Kublai Khan had always wanted to meet a Latin and had never met one before, the Polos agreed to follow the emissary to China in 1264. In 1266, they finally arrived in the Yuan capital of Dadu after a long and treacherous journey from Bukhara. The Polos were warmly welcomed into the Yuan imperial court and were given the privilege of meeting Kublai Khan himself. As a result from this conversation, Kublai Khan later sent Marco Polo, Niccolò and Maffeo back to Rome as an embassy to the Pope. The Polos brought along a letter and some gifts from the Khan to the Pope. In the letter, Kublai wrote a request to the Pope for a hundred skilled and educated Christian missionaries to be sent to China to teach and spread Christianity throughout the land. He also requested for some oil from the lamp of the Holy Sepulchre in Jerusalem to be sent to China. 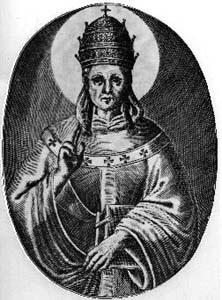 Nevertheless, when they arrived back in Rome in 1269, the seat of the Pope was left vacant following the death of Pope Clement IV in 1268. It was not until 1271 that a new Pope was elected and subsequently, the Khan’s letter could be submitted to Pope Gregory X. The Polos remained in China for the following 17 years, where they traded as merchants. Kublai Khan, however, found a great liking for Marco, and thus entrusted him with many important tasks in the Yuan government. Marco served the Great Khan as a diplomat, in which he made numerous travels all around China. He also entertained the Great Khan with interesting stories about his travels whenever the Great Khan felt bored. 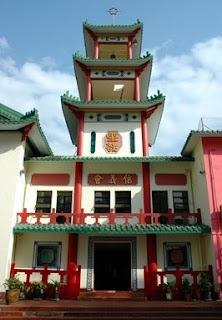 Subsequently, Kublai Khan appointed Marco as the governor of the large commercial city of Yangzhou for three years. In his writings, Marco mentioned that he had visited hundreds of Nestorian Christian churches all around China. As I’ve mentioned in the last part of this article, Marco reported in his accounts of China that he had seen many Nestorian Christian churches and monasteries in key Chinese cities such as Fuzhou, Yangzhou, Hankou and Zhenjiang. No doubt, it is clear from the facts that I’ve presented to you above that both Kublai Khan and Marco Polo never played a distinctively direct role in spreading and promoting Christianity in Yuan China. In fact, neither Marco nor the Great Khan actually put in further efforts to promote Christianity in China after the latter received the gifts and the holy oil from the Pope. 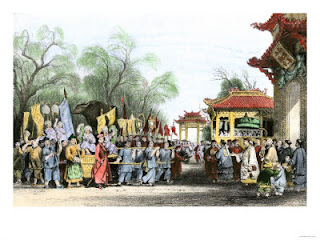 Nonetheless, it is worthwhile noting that both these two prominent figures in Chinese history did play indirect roles in initiating the introduction and promotion of Catholic Christianity into the vast land of China. The very fact that the Polos travelled back to Rome all the way from Dadu, bringing along with them the letter of request from the Great Khan and intriguing stories about the Far East, actually opened the eyes of the Pope and the Roman Catholic Church as a whole to realize the existence of a large empire in the Far East that few Europeans have ever explored before. This revelation to the Pope and the Church in Rome about the Far East also enabled them to realize that there were, after all, vaster grounds for the spread of Catholic Christianity outside Europe, consequently leading to increasing interest within the Roman Catholic Church to bring Catholic Christianity into this vast and unknown land known as China, ruled by an emperor who is kindly predisposed towards Christianity. Having said so, this matter will thus be the main topic which I will be covering in the subsequent part of this article.